Born in Boston, he was active as an artist/printmaker in Massachusetts in his early years and soon went to new York. He taught in Buffalo, NY and eventually worked outside of Chicago in Glencoe. 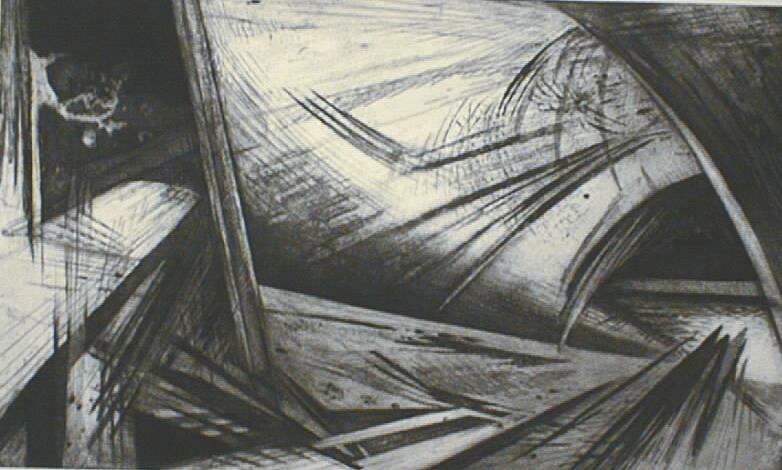 His early work was quite realistic and he moved to abstraction under the influence of Stanley Hayter. "Labor in a Diesel Plant"
Edition of 50, Number: A.P.